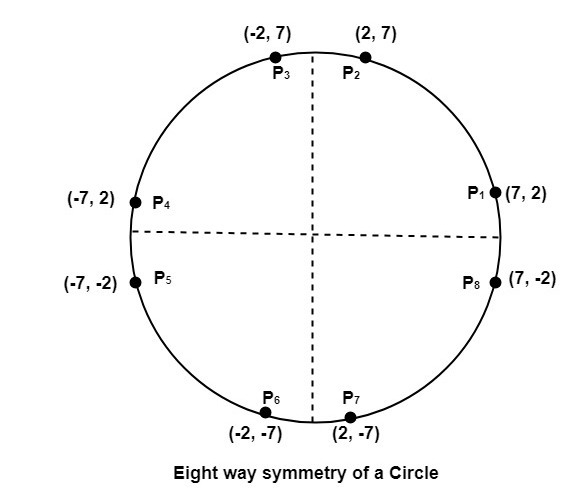 Circle is an eight-way symmetric figure. The shape of circle is the same in all quadrants. In each quadrant, there are two octants. If the calculation of the point of one octant is done, then the other seven points can be calculated easily by using the concept of eight-way symmetry. So we will calculate only 45°arc. From which the whole circle can be determined easily. The reflection is accomplished by reversing x, y co-ordinates. 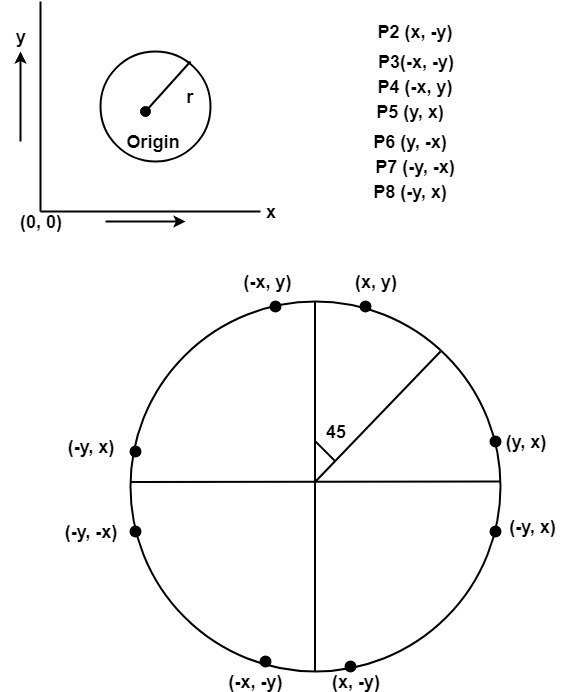 There are two standards methods of mathematically defining a circle centered at the origin.